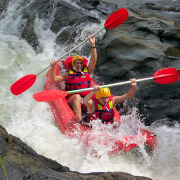 Just an hour south of Cairns, Foaming Fury has created a rafting adventurers dream on the Russell River. 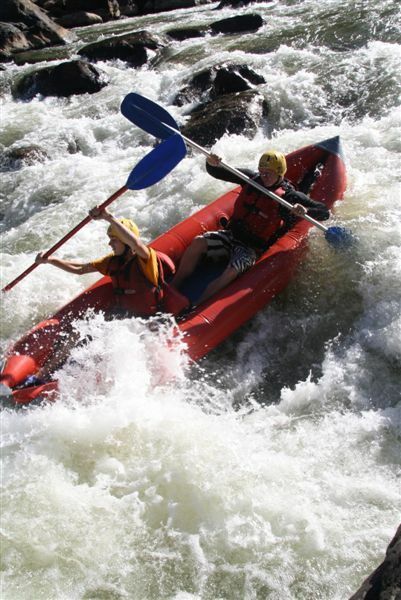 Foaming Fury offers a very exciting day on the Russell River which has Grade 3 - 4 Rapids. 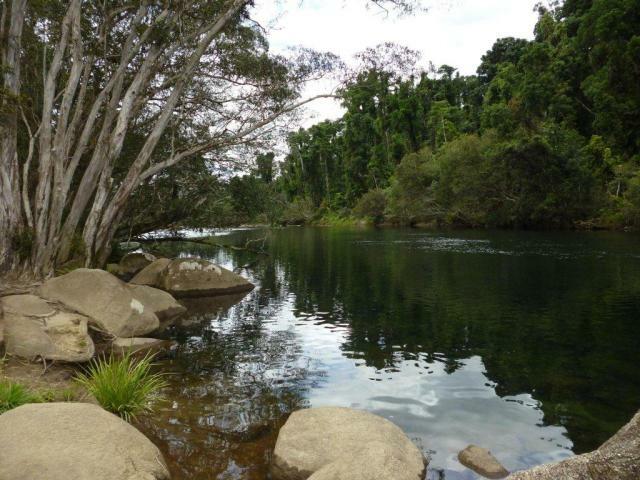 The Russell River is a clear natural flowing river combining the excitement of rafting with the beauty of the rainforest. 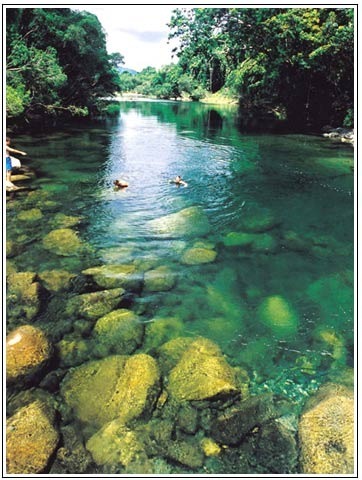 The river is a 50 minute scenic drive south of Cairns, capturing the sheer beauty of the Cassowary coast. 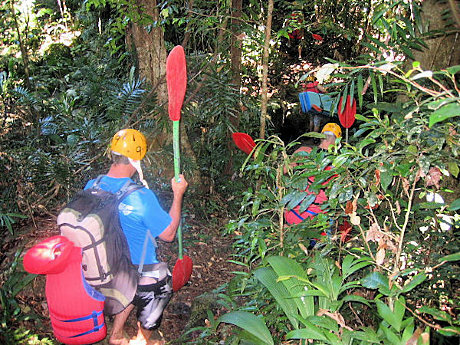 Your extreme rafting experience starts with a trek through the dense rainforest of the Russell River valley. On the walk you will need to share carry the inflatable two person sports kayaks. These have a maximum weight of 15 kg. 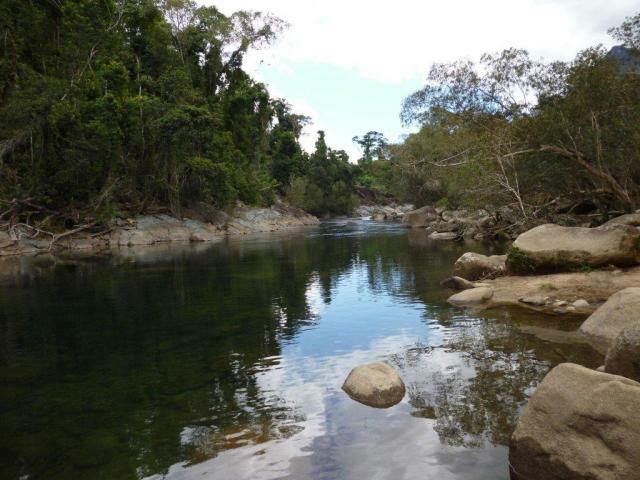 The walk is not difficult and along the way, you will learn about the rainforest, see crystal clear rivers, and marvel at the breathtaking scenery. 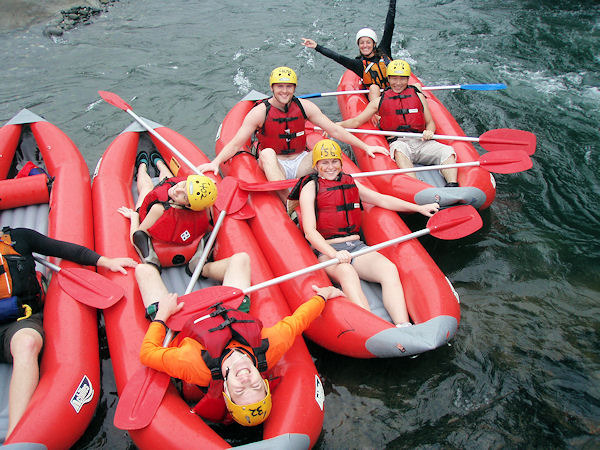 Sportsrafts are a challenge and make for an exciting day. 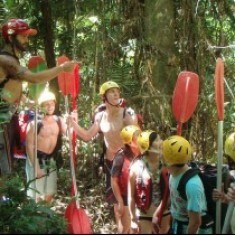 They take two people and are group guided under strict river guide supervision. There is nothing else like this in Australia. It is affordable, nail biting and exhilarating! 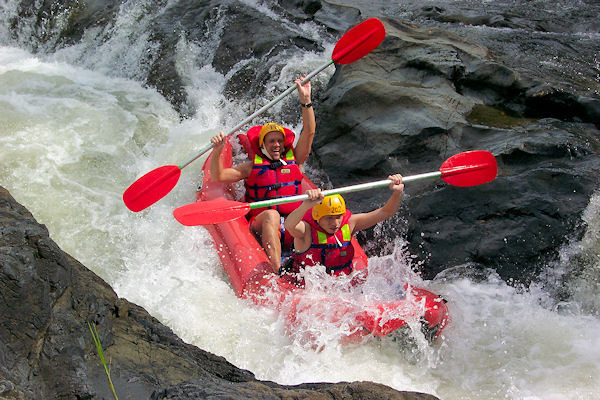 With rapids ranging from grade 1 to 4, there is something for everyone on this river. 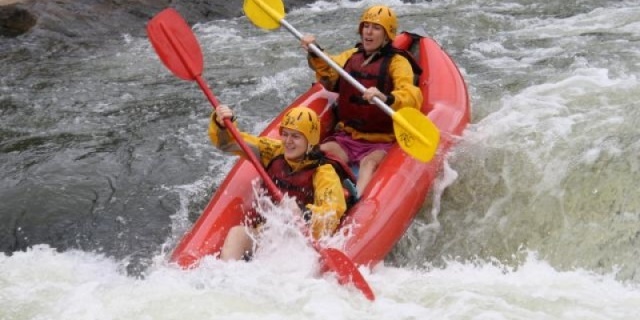 The minimum age for rafting the Russell River is 13 years. Do not wear any jewellery - it is recommended that you leave anything of value in your hotel safe for this trip. This tour is weather dependent and does not always operate, please enquire. Had a great time, the river was a little low but was expected at this time of year. Staff were great. It was wonderful - we had a great unforgetable experience. Just got back from our trip to Cairns and wish to thank you for your assistance Jo. It was a good trip. Commendation must also go to Foaming Fury for their excellent experience. Most exciting day for both of us.